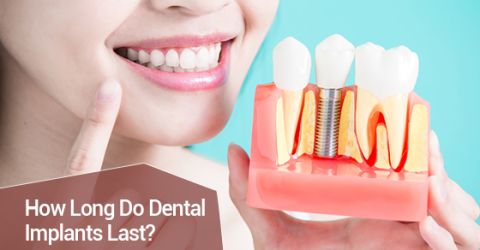 Dental implants have been engineered to last a long time—more than 25 years if you have excellent oral hygiene and attend your dental appointments regularly. You must take care of your dental implants like you would take care of your natural teeth. Medicine and dentistry have a complex relationship. If you have diabetes which is not well-controlled, are a heavy smoker or have other medical conditions that are poorly controlled, you may not be a candidate for dental implants. It is very important that you get your lifestyle and medical conditions in good shape before considering dental implants. Do I need to see the dentist anymore if I have dental implants? A common misconception is that you do not need to see the dentist anymore if you have implants. This is NOT true and is very misleading. Although dental implants cannot get cavities, they can get serious gum disease as they are a part of your bone and extend through the gums. This gum disease can progress to bone loss around the implants, infections and moving implants. This is called peri-implantitis and can lead to the loss of your implant. You must attend your hygiene appointments regularly with dental implants. Dental implants have been around for many years and were designed in 1952 by an orthopedic surgeon, Dr. Ingvar Brånemark. Brånemark was successful in showing the clinical use of dental implants and introduced the idea of “osseointegration”. “Osseo” means bone, and osseointegration is the union of bone with the dental implant. This was a ground-breaking concept in the field of dentistry and research continues today. Dental implants look and feel exactly like your natural teeth and so they can improve your smile. Implants can replace single or multiple missing teeth. Besides the obvious esthetic improvement in your smile, dental implants can improve your function, your chewing capability and your speech. Implants are made up of three parts. The fixture is the titanium screw which is placed inside your jaw and osseointegrates with your bone. The abutment connects this fixture through the gums and to the tooth component. The crown is the tooth portion which is screwed or cemented onto the abutment. Sometimes, multiple implants are required to improve the fit and tightness of your dentures or to anchor a bridge. As a future implant patient for yourself or someone you know, it is very important to understand the risks and benefits of each type of treatment so that you can make an educated decision. When do I need to replace my old dental implant? It is possible that you may never need to replace your dental implant except if it becomes loose, infected or fractured. The success rate of dental implants is 95% but this percentage depends on many factors. How do you know if there is something wrong with your dental implant? Complications for dental implants are rare but they do occur. Some complications include: infections at the implant area; loosening of the implant; and the implant crown falling out. Nerves can be temporarily or permanently damaged causing numbness. Sinus issues can occur as the roots of the upper molars are very close and can sometimes touch the sinus. Peri-implantitis is the condition where the bone and surrounding gum tissue become damaged which can be due to bacteria or heavy biting forces. It is very important that you attend your dental appointments regularly because only a professional can remove the hard, calcified deposits of dental plaque that collect around your implant. Your heavy bite might need adjusting as well. Once you have the implant placed (the part that goes inside the bone), you may need 4-8 months of healing before a tooth can be placed on top of the implant. This is a very patient-specific treatment plan and depends on how well your implant integrates into the bone. Longer healing times are associated with previous tooth infections and if a bone and/or gum graft is needed. The short answer is yes. Any dental or medical procedure has a success rate and a failure rate. The material and design of the implants today, a complex titanium metal structure, is much more advanced than the original implant design and materials. The failure rates today are usually related to excessive biting forces, grinding, poor oral hygiene and poorly-controlled medical conditions. If your implant breaks, it is important to go to your dentist as soon as you can to evaluate the situation. Sometimes if bone and gum tissue are lost around the implant, your dentist can graft and build up these areas. If the implant needs to be removed, a grafting material can be placed in the area and sufficient time must pass before the area is suitable for an implant again. If your implant fails again, then you may be allergic to the metal or have poor bone density around the missing tooth. Both these situations are rare. A Removeable Partial Denture: ideal to replace multiple missing teeth or when you do not have enough bone for dental implants. They are a removable option to replace missing teeth. You can eat, speak and smile with them and are a more affordable alternative than dental implants. A Complete Denture: ideal to replace all your missing teeth in either the upper or lower arch, or both. They are a more affordable alternative to dental implants. 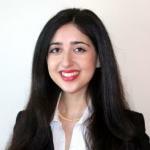 Originally from Manchester, United Kingdom, Dr. Leigh moved to Toronto in 2004 with her family. She completed her Honours Bachelor of Science Degree in Neuroscience & Psychology at the University of Toronto during which time she also published research in neurolinguistics and heart & stroke. She was accepted to the University of Toronto dental program, from which she received her Doctor of Dental Surgery Degree. During her time in dental school she also conducted research in the field of craniofacial development and had the opportunity to present at the Hinman symposium in Memphis Tennessee.